For Portuguese heads of state prior to 1910, see list of Portuguese monarchs. Five years, renewable once; may run for third and final non-consecutive term. The numbering reflects the uninterrupted terms in office served by a single man. For example, Jorge Sampaio served two consecutive terms and is counted as the 19th president (not the 19th and 20th). Teófilo Braga served as the first and sole president of the Provisional Government, and therefore is not considered to be the first President, although he would serve again as head of state and be the second president after the resignation of Manuel de Arriaga. However, Bernardino Machado served two non-consecutive terms, and he is counted as both the third and the eighth presidents. Because of this, the list below contains 20 presidencies, but only 19 presidents. Joaquim Teófilo Fernandes Braga was a Portuguese writer, playwright, politician and the leader of the Republican Provisional Government after the overthrow of King Manuel II, as well as the second elected President of the First Portuguese Republic, after the resignation of President Manuel de Arriaga. Manuel José de Arriaga Brum da Silveira e Peyrelongue was a Portuguese lawyer, the first Attorney-General and the first elected President of the First Portuguese Republic, following the deposition of King Manuel II of Portugal and a Republican Provisional Government headed by Teófilo Braga. Under the Constitution of Portugal adopted in 1976, in the wake of the 1974 Carnation Revolution, the President is elected to a five-year term; there is no limit to the number of terms a president may serve, but a president who serves two consecutive terms may not serve again in the next five years after the second term finishes. The Carnation Revolution, also known as the 25th of April, was initially a 25 April 1974 military coup in Lisbon which overthrew the authoritarian Estado Novo regime. The revolution began as a coup organised by the Armed Forces Movement, composed of military officers who opposed the regime, but it was soon coupled with an unanticipated, popular civil resistance campaign. The revolution led to the fall of the Estado Novo, the end of 48 years of authoritarian rule in Portugal, and Portugal's withdrawal from its African colonies. The official residence of the President of Portugal is the Belém Palace. The Belém Palace, or alternately National Palace of Belém, has, over time, been the official residence of Portuguese monarchs and, after the installation of the First Republic, the Presidents of the Portuguese Republic. Located in the civil parish of Santa Maria de Belém, the palace is located on a small hill that fronts the Praça Afonso de Albuquerque, near the historical centre of Belém and the Monastery of the Jerónimos, close to the waterfront of the Tagus River. The five buildings that make up the main façade of the Palace date back to the second half of the 17th century, and were built at a time when the monarchy and nobility increasingly desired to seek respite from the urbanized confines of Lisbon. The current President of Portugal is Marcelo Rebelo de Sousa, the winner of the 2016 presidential election. Marcelo Nuno Duarte Rebelo de Sousa, ComSE, GCIH is a Portuguese academic, journalist, and politician, currently serving as the 20th and current President of Portugal, since 9 March 2016. A member of the Social Democratic Party (PSD), Rebelo de Sousa has served as a government minister, parliamentarian in the Assembly of the Portuguese Republic, legal scholar, journalist, political analyst and pundit, gaining him nationwide recognition prior to his election. The colors indicate the political affiliation of each President. 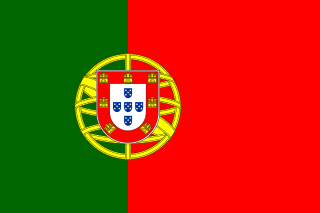 The Portuguese Republican Party was a Portuguese political party formed during the late years of monarchy that proposed and conducted the substitution of the Constitutional Monarchy by the Portuguese First Republic. 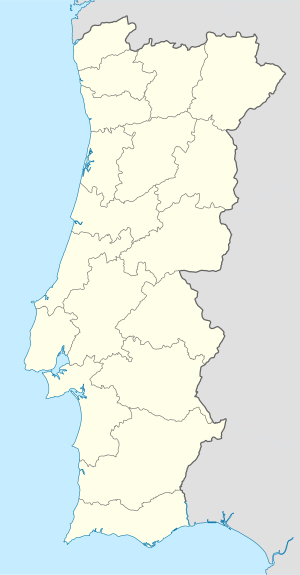 The Democratic Party, officially known as the Portuguese Republican Party, was a Portuguese left-wing political party during the Portuguese First Republic. It was also the self-proclaimed successor to the original Portuguese Republican Party, which had been behind the revolution that established the Portuguese First Republic in 1910. [D] Died in office of natural causes. [C] Forced to resign due to a coup d'état. Birthplaces of the Presidents of the Portuguese Republic. Not shown are Manuel de Arriaga (born in Horta, Azores, Portugal), Teófilo Braga (born in Ponta Delgada, Azores, Portugal), and Bernardino Machado (born in Rio de Janeiro, Brazil). ↑ "Teófilo Braga". PRESIDENCY OF THE PORTUGUESE REPUBLIC. Retrieved 2016-08-17. ↑ After leading a coup d'état, Sidónio Pais became President of the Revolutionary Junta and later Prime Minister (President of the Ministry). He then abolished the post of Prime Minister, assuming himself as the head of government as President of the Republic. He was assassinated in 1918. 1 2 3 Mendes Cabeçadas, Gomes da Costa and Óscar Carmona were the heads of the revolutionary provisional governments during the year of 1926. Although not called Presidents, they were de facto heads of state. ↑ Óscar Carmona served initially as head of the revolutionary government after a counter-coup deposed Gomes da Costa. He was de facto head of state between July 9 and November 16, 1926. However he officially took office as President of the Republic on November 16, 1926. Six years later, in 1932, the Estado Novo was proclaimed and the National Union, the only legal party, was formed by António de Oliveira Salazar. Carmona joined the party and was the party's candidate for every presidential election (that were considered fraudulent) until 1951, when he died. 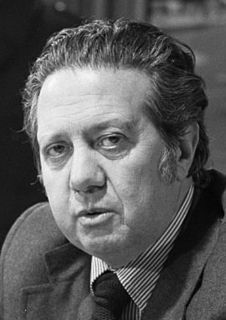 ↑ Between the Carnation Revolution on April 25, 1974 and May 15 of the same year, António de Spínola was the head of the National Salvation Junta, being the de facto head of state and government. After May 15 Adelino da Palma Carlos became the Prime Minister, and Spínola continued as de jure head of state as President of the Republic. Bernardino Luís Machado Guimarães, GCTE, GCL, was a Portuguese political figure, the third and eighth President of Portugal. Sidónio Bernardino Cardoso da Silva PaisCavC OA CavA was a Portuguese politician, military officer, and diplomat, who served as the fourth President of the First Portuguese Republic in 1918. One of the most divisive figures in modern Portuguese history, he was referred to by the writer Fernando Pessoa as the "President-King", a description that stuck in later years and symbolizes his regime. António José de Almeida, GCTE, GCA, GCC, GCSE, son of José António de Almeida and his wife Maria Rita das Neves, was a Portuguese political figure. He served as the sixth President of Portugal from 1919 until 1923. The Portuguese Constituent Assembly election, 1975 was carried out in Portugal on 25 April 1975, exactly one year after the Carnation Revolution. 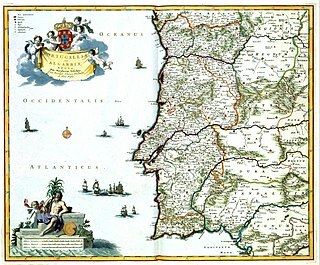 It was the first free election held in Portugal since 1925, and only the seventh free election in all of Portuguese history. Turnout was a record 91.66 percent, which remains the highest ever in any Portuguese democratic elections. António Óscar Fragoso Carmona, BTO, ComC, GCA, ComSE, was the 96th Prime Minister of Portugal and 11th President of Portugal (1926–1951), having been Minister of War in 1923. José Mendes Cabeçadas Júnior, OTE, ComA, commonly known as Mendes Cabeçadas, was a Portuguese Navy officer, Freemason and republican, having a major role in the preparation of the revolutionary movements that created and ended the Portuguese First Republic: the 5 October revolution in 1910 and the 28 May coup d'état of 1926. In the outcome he became the 69th Minister of Finance for one day only on 30 May 1926, then becoming interim Minister for Foreign Affairs for two days between 30 May and 1 June, after which he again became the 70th Minister for Finance on the same day. He served as the ninth President of the Republic and Prime Minister for a brief period of time. Manuel de Oliveira Gomes da Costa, GOTE, GCA, GOA, commonly known as Manuel Gomes da Costa, or just Gomes da Costa, was a Portuguese army officer and politician, the tenth President of the Portuguese Republic and the second of the Ditadura Nacional. Francisco da Costa Gomes, ComTE, GOA was a Portuguese military officer and politician, the 15th President of the Portuguese Republic. Afonso Augusto da Costa, GCTE, GCL was a Portuguese lawyer, professor and republican politician. The Ditadura Nacional was the name given to the regime that governed Portugal from 1928, after the re-election of General Óscar Carmona to the post of President, until 1933. The 28 May 1926 coup d'état, sometimes called 28 May Revolution or, during the period of the authoritarian Estado Novo, the National Revolution, was a military coup of a nationalist origin, that put an end to the unstable Portuguese First Republic and initiated 48 years of authoritarian rule in Portugal. The regime that immediately resulted from the coup, the Ditadura Nacional, would be later refashioned into the Estado Novo, which in turn would last until the Carnation Revolution in 1974. João Tamagnini de Sousa Barbosa, commonly known as João Tamagnini Barbosa, or Tamagnini Barbosa, was a Portuguese military officer and politician of the Portuguese First Republic (1910–1926). He served as Minister of Interior, Colonies and Finances during the period known as "New Republic", after the coup d'état of the National Republican Party and the semi-dictatorial government of President/Prime Minister Sidónio Pais, followed by a brief participation in the provisional government of João do Canto e Castro after the assassination of Sidónio Pais. The National Salvation Junta(Junta de Salvação Nacional,Portuguese pronunciation: [ˈʒũtɐ dɨ saɫvɐˈsɐ̃w̃ nɐsiuˈnaɫ]) was a group of military officers designated to maintain the government of Portugal in April 1974, after the Carnation Revolution had overthrown the Estado Novo dictatorial regime. This junta functioned following a communiqué of its president, António de Spínola, at 1:30 a.m. on 26 April 1974. The National Salvation Junta was the de jure governing body of Portugal following the Carnation Revolution. The Nationalist Republican Party was a right-wing republican party during the First Portuguese Republic. It was founded as a merger of the Republican Liberal Party, the Reconstitution Party and some elements of the old National Republican Party of Sidónio Pais. Initially with moderate conservative orientation, it drifted increasingly to the right, making concessions to Catholic constituencies towards the end of the First Republic. João José Sinel de Cordes was a Portuguese general and politician. Events in the year 1910 in Portugal. Events in the year 1926 in Portugal. Jornal de Notícias (January–May 2006). Museu da Presidência da República/Jornal de Notícias, ed. Presidents de Portugal - Fotobiografias (1st ed.). Porto. "Portal da História". Biografias dos Presidentes. Retrieved February 8, 2006.